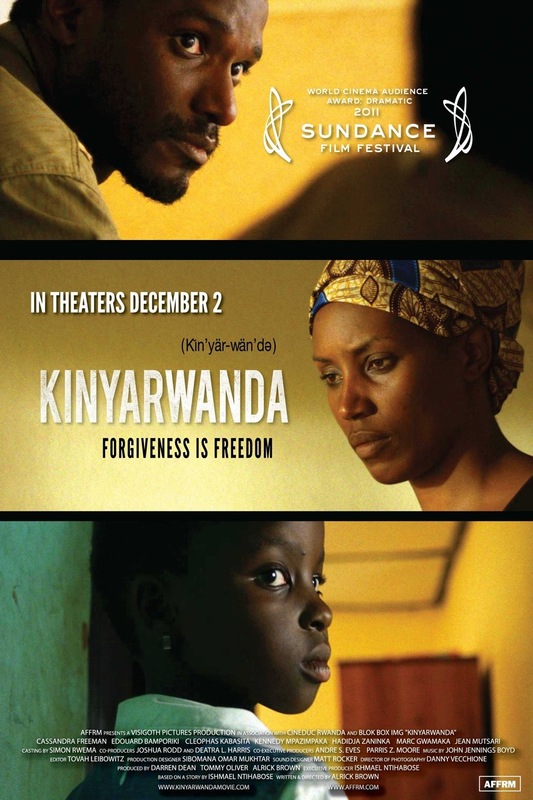 Kinyarwanda DVD release date was set for May 15, 2012. Citizens of Rwanda are in danger when racial tensions explode and a civil war starts in Kinyarwanda. Interconnecting stories depict events based on the real conflict between the Hutus and Tutsis in 1994. Many Hutus strike back after years of oppression and start slaughtering Tutsis. Emmanuel (Edouard Bamporiki) is a Hutu leader who runs a unit that kills Tutsis, but Rose (Cassandra Freeman) is a solider who tries to calm hostilities and help both sides. Religious leaders (Jean Mutsari and Mazimpaka Kennedy) try to offer refuge to the needy while the nation fights, and a formerly safe civilian couple (Hadidja Zaninka and Marc Gwamaka) are at risk because they have different ethnic backgrounds. The characters must attempt to survive and make sense of their violent new reality.